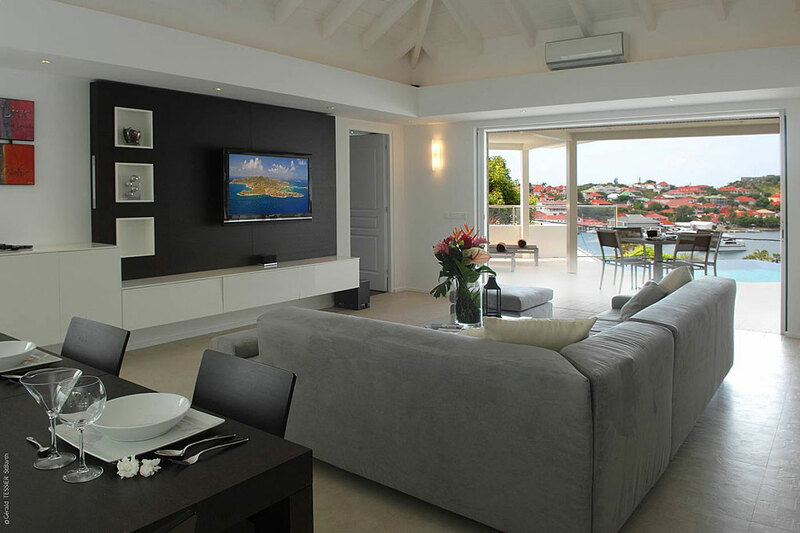 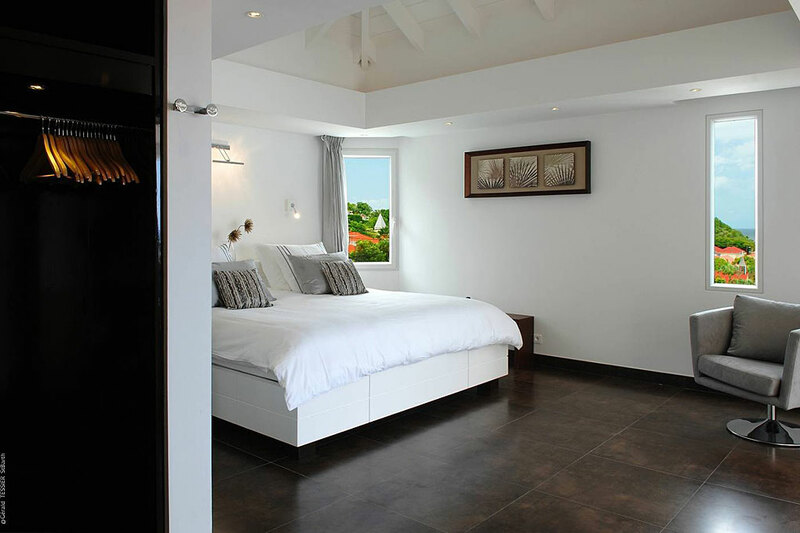 A "penthouse" overlooking Gustavia's red rooftops and iconic harbor, close to bistros and boutiques. 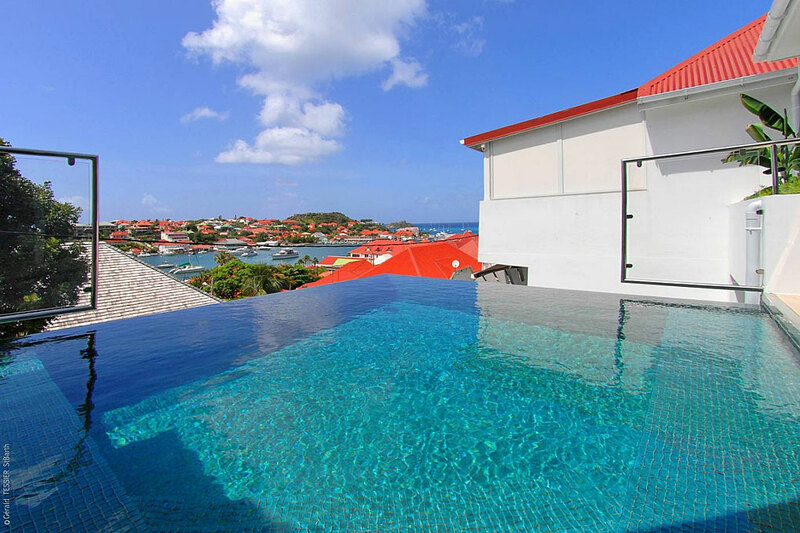 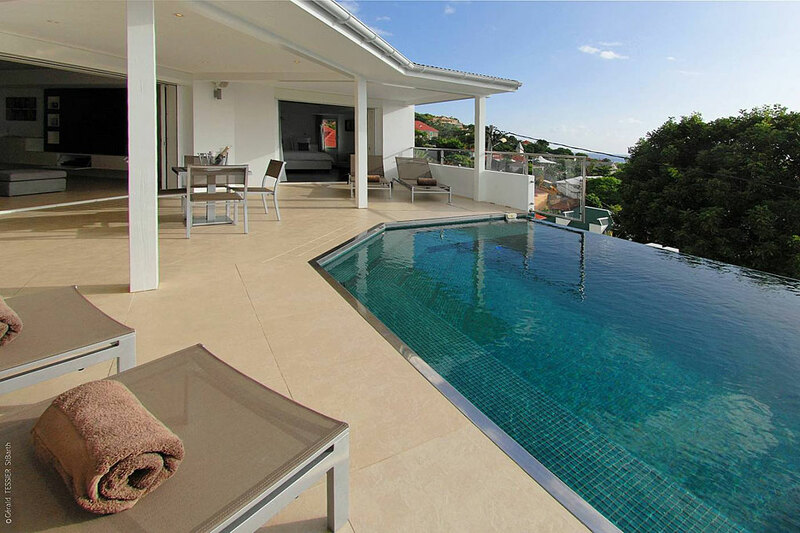 High up in the hills of Gustavia, the two bedroom Villa Wästra boasts a nice view of everyone’s favorite vista - the island’s picture-postcard harbor. 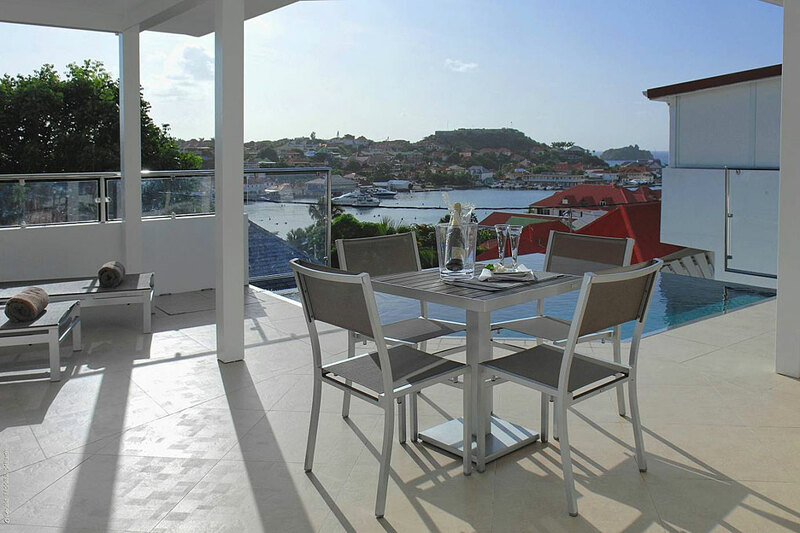 The glimpse of the boats on their moorings as you overlook the signature red roof tops is delightful - and memorable. 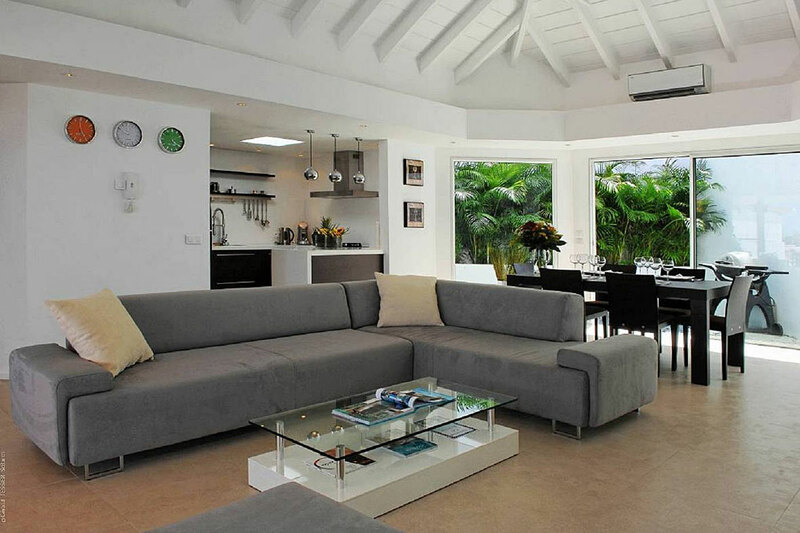 This fully air conditioned penthouse features a spacious open floor plan which includes a wonderful kitchen, a comfortable living area and a nice spot for dining. 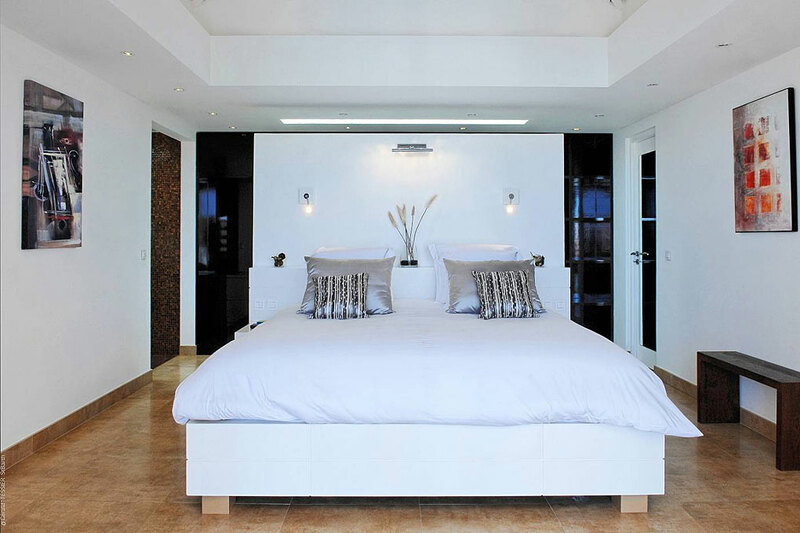 The two (king) bedrooms are situated on opposite sides of the living space to ensure privacy and the rain-head showers are a great feature. 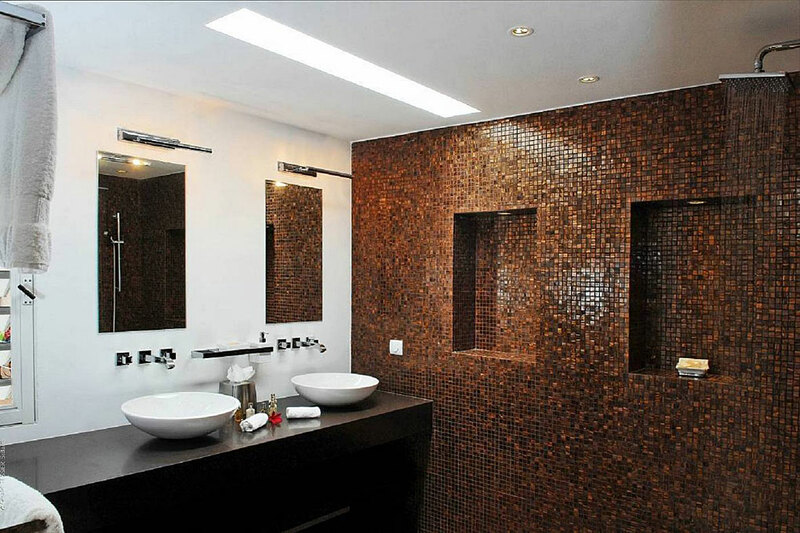 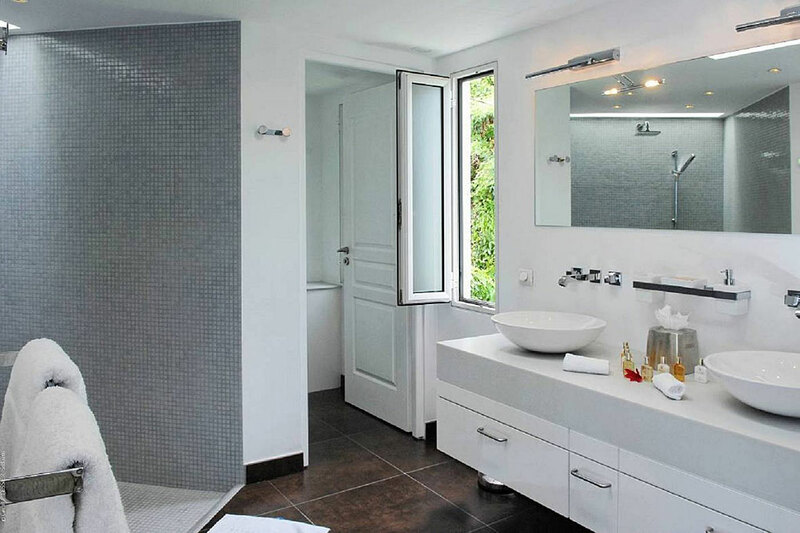 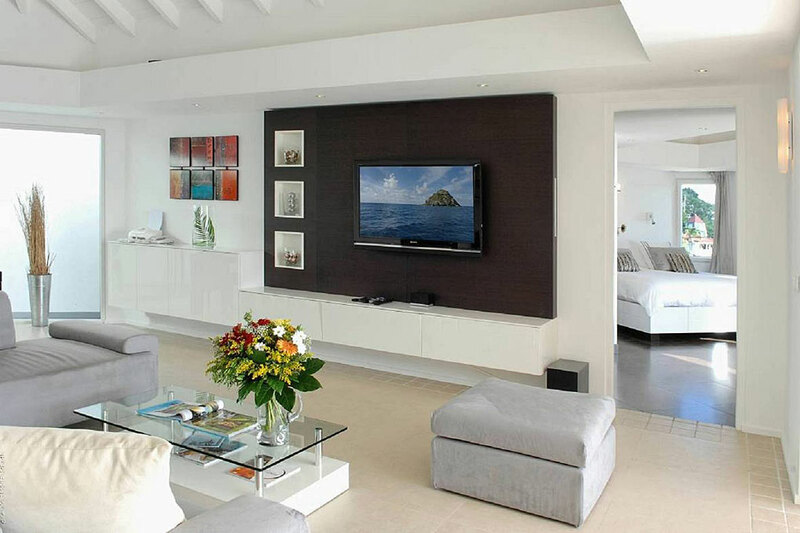 The décor is chic and contemporary throughout. 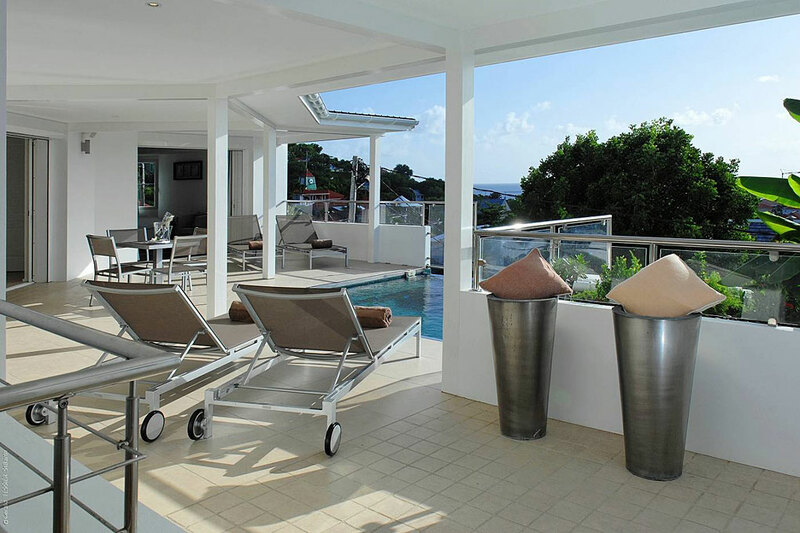 Everything opens onto to the terrace and its sparkling pool - perfect for sunning and relaxing and it is gorgeous at night. 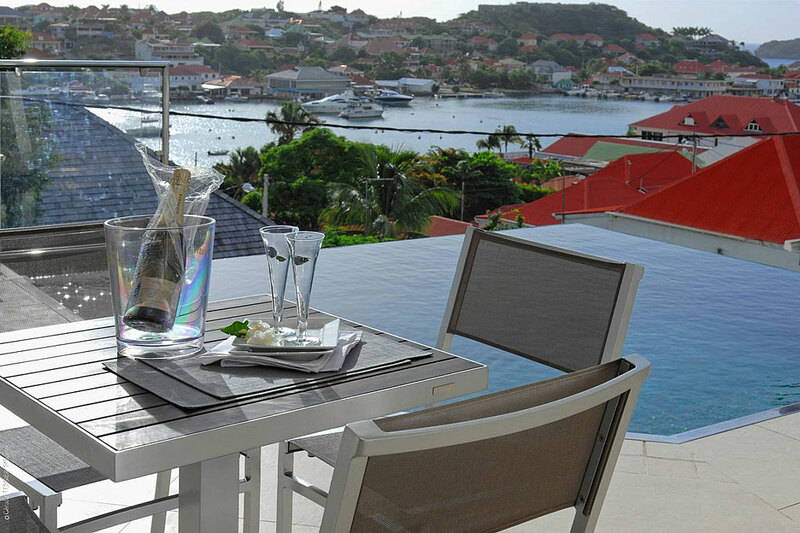 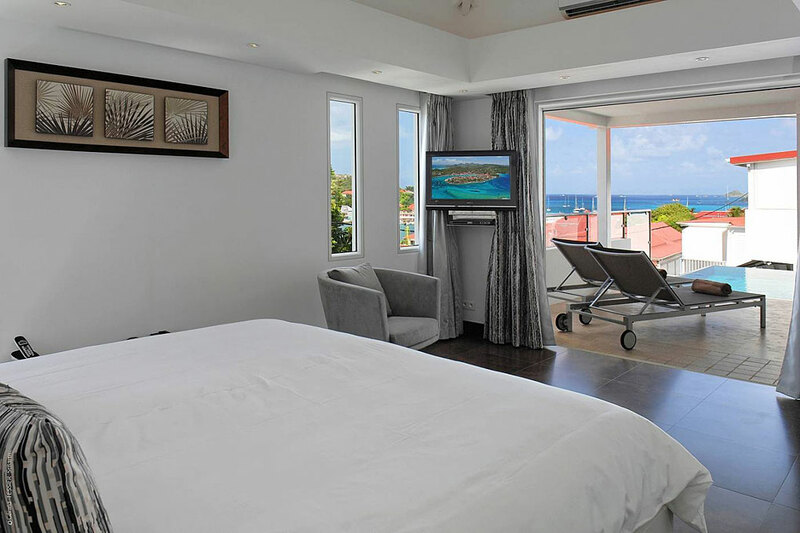 Guests love the proximity to "downtown" Gustavia with all its restaurants, sidewalk cafés, shops - divine boulangeries - and nightlife, and that convenience comes with no loss of privacy. 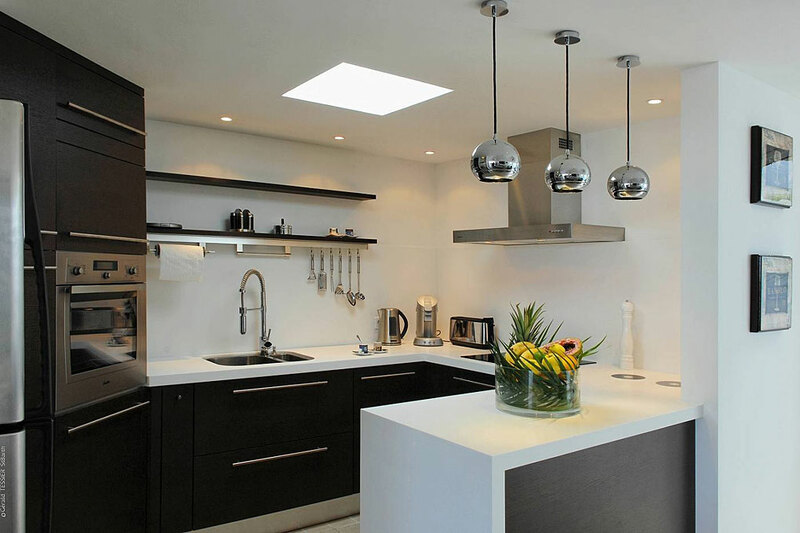 An added plus is Wästra’s private garage for your car. 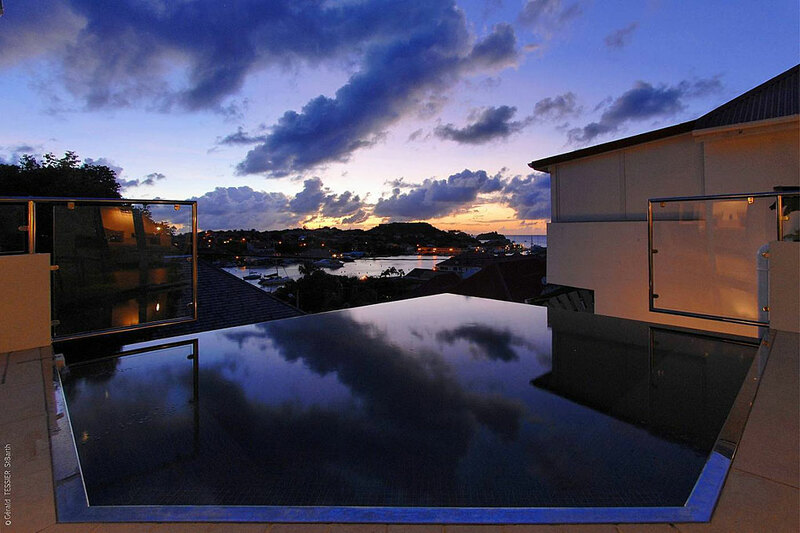 What we love about this villa: The view, especially at night. 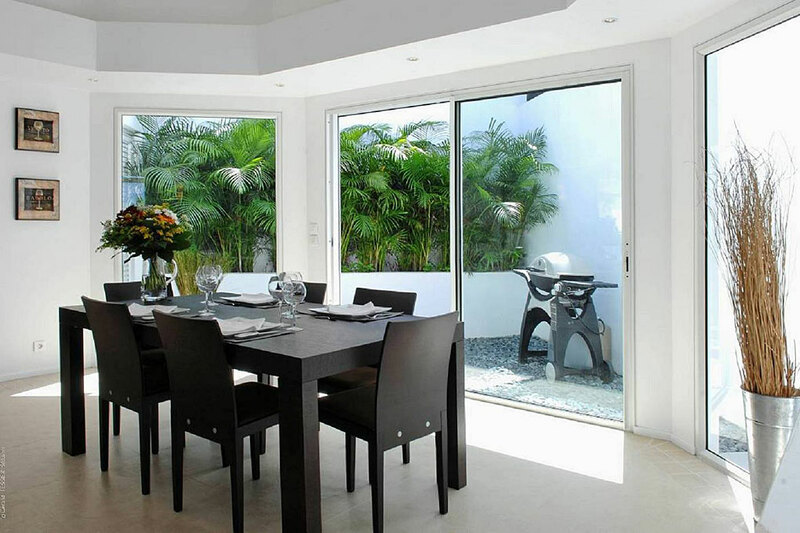 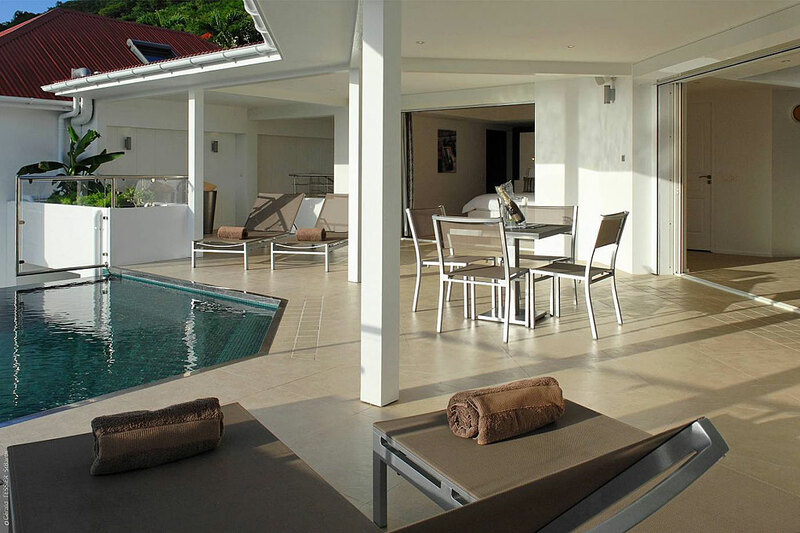 Our Notes on this villa: The contemporary design includes ample living space and a lovely pool terrace. 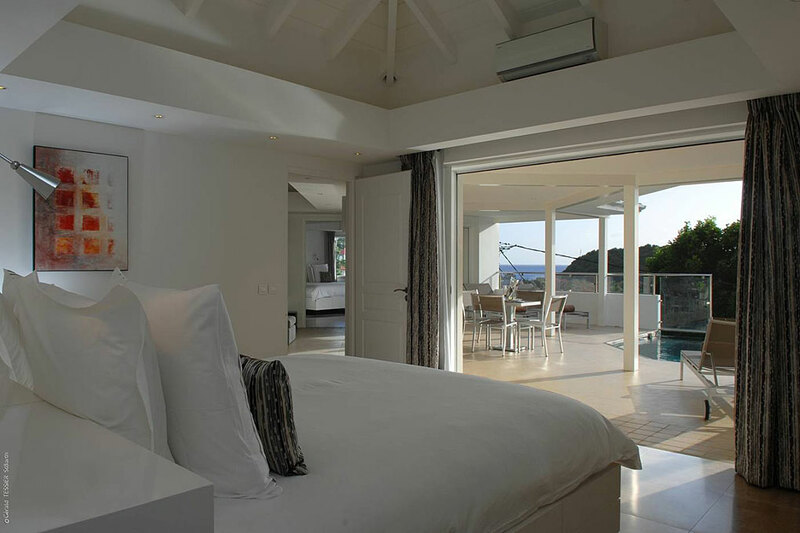 The bedrooms are delightful.